If your work involves thermal hazards, it is important to find heat-resistant gloves that protect not only your hands but lower arms as well. 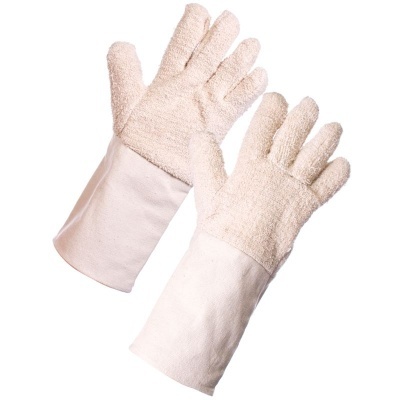 The Supertouch 28404/28504/28303 Terry Cotton Gauntlets are available in three different designs and are ideal for handling glass or metal. 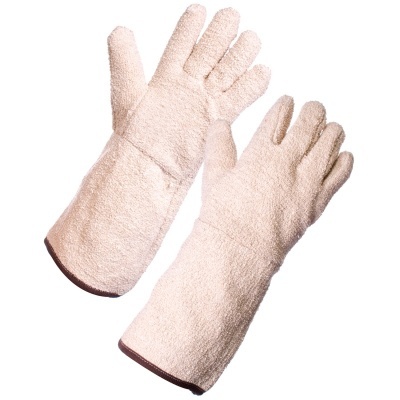 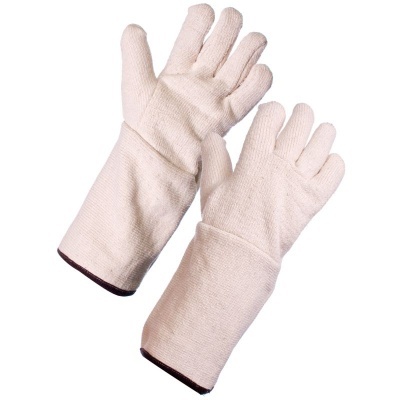 The Supertouch Terry Cotton Gauntlets are available in a universal design that should fit most adults.